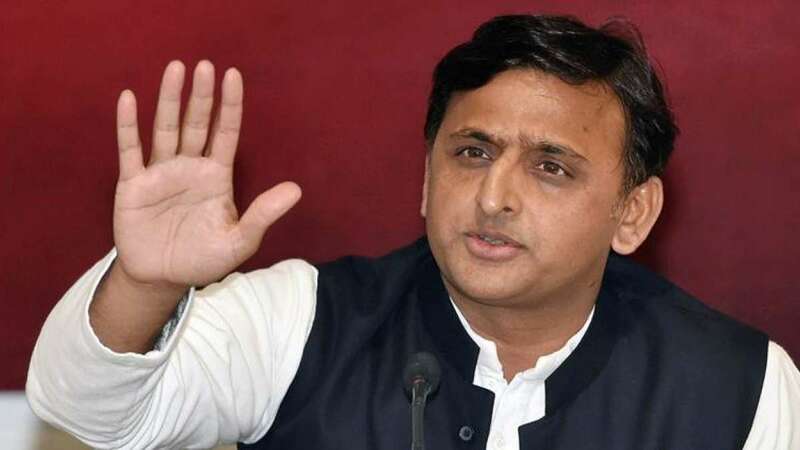 Lucknow : Samajwadi Party chief Akhilesh Yadav on Monday launched a scathing attack on the Uttar Pradesh government over the killing of a Dalit student in Allahabad and accused Chief Minister Yogi Adityanath of failing to check soaring crime in the state. The former Chief Minister said the daylight brutal killing of law student Dilip Saroj outside a restaurant in Allahabad had proved that criminals had no fear of law. "On one hand innocent aspiring youngsters are facing such fate at the hands of criminals and on the other the police are targeting innocent people in encounters," the 44-year-old said in a statement. He asked the government to give the student's family Rs 50 lakh in compensation. Yadav added that in the 10 montha of BJP rule in Uttar Pradesh, insecurity has crept into the minds of the people and no action of the society was feeling safe. The twin murder of a mother and son in Meerut, the brutal assault on a milkman in Bulandshahr, the fake encounter by police in Noida, triple murders in Bareilly and the murder of a trader in Allahabad had proved beyond doubt that all talk of peace and prosperity in the state was a farce. "With such soaring crime, the Chief Minister is inviting people to invest in UP. Who will invest?" Akhilesh Yadav asked.